Surprise! Jessie J Returns With New Single "Real Deal"
New music soon? Jessie J shared a couple of stills from a video on Instagram. Where there’s smoke, there’s usually fire. 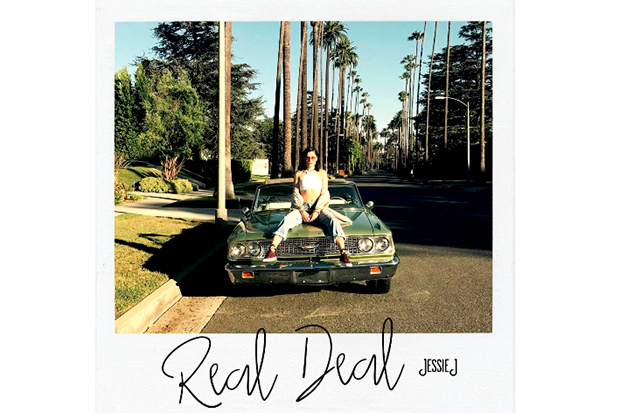 After teasing stills from an unspecified video shoot, Jessie J rocks New Music Friday with a track called “Real Deal.” And it’s a radical change of pace for the Brit. Gone are power-pop vibes of “Bang Bang” and “Burnin’ Up.” Instead, the 29-year-old delivers a rhythmic bop with a distinct hip-hop edge. Produced by DJ Camper, Jessie’s latest is part of a new campaign with M&Ms. But it’s still a hint at the direction of her 4th LP. Listen to “Real Deal” below. Do you like the song? Let us know below, or by hitting us up on Facebook and Twitter!